Sean Rafferty with a lively mix of chat, arts news and live performance. His guests include Jeremy Denk, Lorenzo Viotti and the Rautio Piano Trio. Sean Rafferty with a lively mix of chat, arts news and live performance. 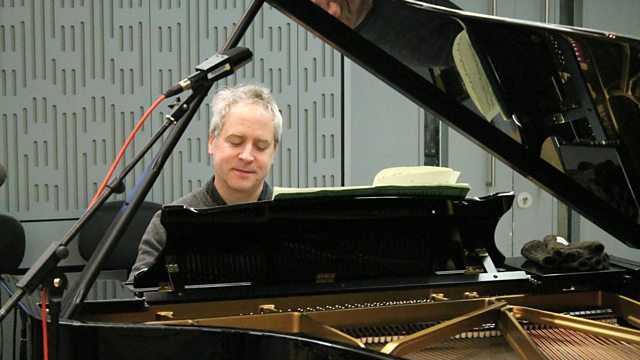 Sean's guests include pianist Jeremy Denk, who performs live before a recital at Milton Court, and the Rautio Piano Trio also play live in the studio and talk about their recent CD. Conductor Lorenzo Viotti talks to Sean down the line from Glasgow about his upcoming concerts with the Royal Scottish National Orchestra. Performer: Joshua Bell. Performer: Julian Lage. Performer: Rob Moose. Performer: Michael Aarons. Performer: William Holhouse. Music Arranger: Rob Moose. Singer: Chris Lightcap. Musical Gifts From Joshua Bell and Friends. Orchestra: The Gulbenkian Orchestra. Conductor: Lawrence Foster. Ensemble: Arcangelo. Conductor: Joanthan Cohen. Singer: Jeremy Ovenden. Orchestra: Wroclaw Baroque Orchestra. Ensemble: Gabrieli Consort. Conductor: Paul McCreesh. Performer: Daniel Barenboim. Performer: Rodolfo Mederos. Singer: Héctor Console. Mi Buenos Aires querido: Barenboim/Mederos/Console.